Essential oil, a concentrated liquid that is high on volatile aromatic compounds, is largely used in aromatherapy. Also known as ethereal oil, it has the aroma or distinctive scent of the aromatic plant from which it is extracted. Organic essential oils are produced from plants that are grown in accordance with organic agricultural standards. These oils have a unique and intense fragrance, colour & quality. Why are organic oils superior to non-organic options? Cold Pressed Essential oils are highly concentrated. As such, they are subject to retaining high concentrations of contaminants if the plants they are derived from are grown conventionally. When you think about residues in this way, the benefits for those using organic oils vs. non organic oils is fairly obvious. Given that the majority of farms in this industry are farmed as conventional citrus, drift contamination is a reality. However, due to the unique location of some of our farms in the SOGA Group we have the ability to produce some of the purest organic citrus oils with 0% residues. Essential oil production requires a huge amount of plant material to yield a small quantity of oil. 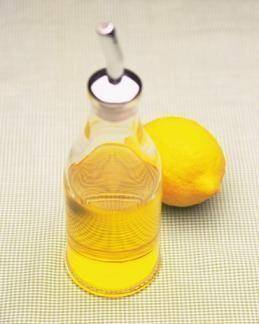 For example, in the case of lemon essential oil it takes about 3000 lemons to produce one kilogram of essential oil. Think about how many people it takes to grow and harvest 3000 lemons. If those lemons were grown organically think about how many people (and their unborn children) would benefit from NOT being exposed to toxic agricultural chemicals. SOGA Organic Citrus oils are packaged in 182 Kg (210 Litre) oil drums, ready for shipping.